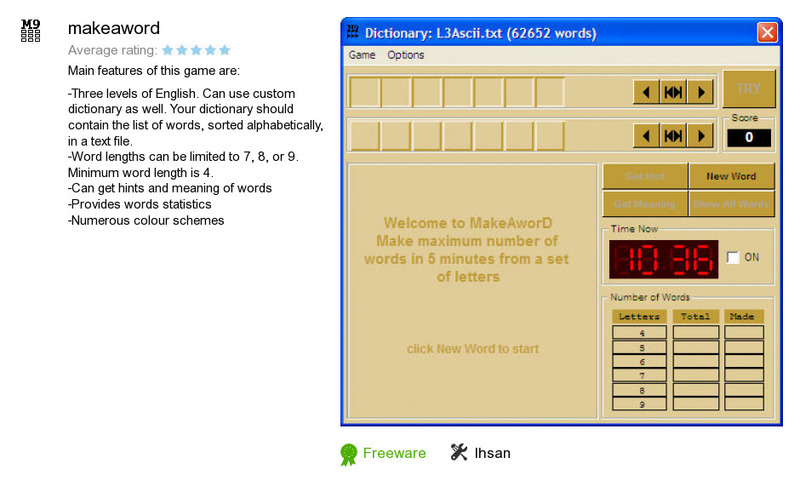 Makeaword is an application developed by Ihsan. We know of version 1.0. Version 1.0 is available for free download at our site. Makeaword installation package has a size of 736,113 bytes. Ihsan also publishes Wordstairs and Fit9with6.